Dress up your desserts with 1 package of 72 petite gold and silver foil truffle cups that fit a in a variety of cupcake pans sizes from standard to mini. 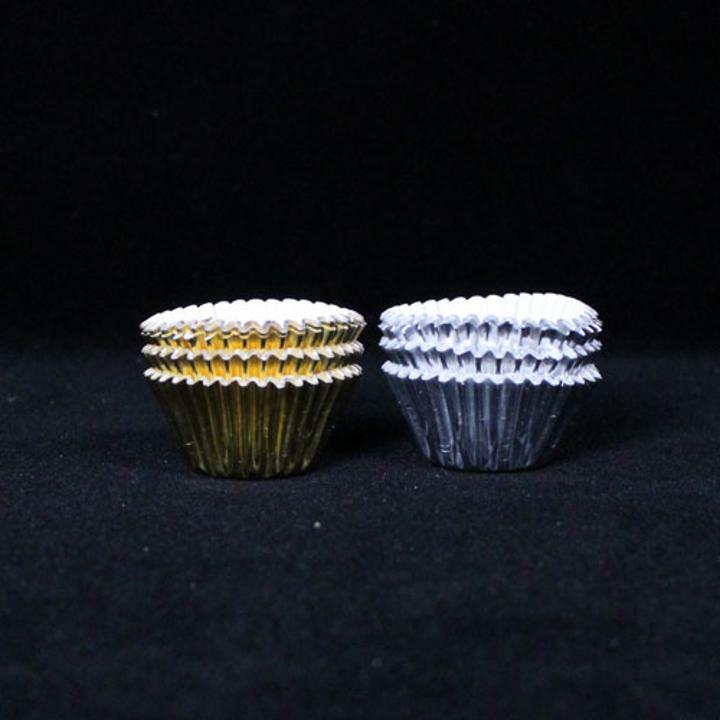 The petite size of these truffle paper cups makes them perfect for smaller baked goods and confectionery delights. These fancy metallic liners can be used in a stand alone pan or muffin tins. Measures 1.5in. x .75 in. round.